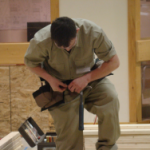 The Construction Technology program offers students an opportunity to learn the skills needed to become a successful and valued employee in the construction industry. 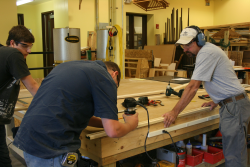 With emphasis on construction carpentry, students learn in a well-equipped shop, on a wide variety of projects. From planning and layout through to trim and customer satisfaction, the live work learning experience develops confidence and skills in a supportive and challenging environment.